BART is a small aperture telescope designed for quick GRB follow-ups with response time to GCN notices as short as possible. The primary scientific goal of the telescope is to gain data about optical transients and afterglows of Gamma-Ray bursts - a simultaneous or quasi simultaneous light emission from these high-energy cosmic sources. The telescope is located at the Atronomical Institute of the CAS at Ondřejov in the workgroup High energy astrophysics. In addition to observing the optical counterparts of GRBs, the telescope monitors other interesting sources such as supernovae, blazars, active galaxies, cataclysmic variabe stars, etc. For optical detection of these counterparts the BART is equipped with a wide-field CCD camera with the field of view 95x63 arcminutes and resolution 1536x1024 pixels. A limiting magnitude of this camera is about 15 for a 60s exposition with possibility to detect one second flash of magnitude 10. For more precise measurement, there is a Meade Schmidt-Cassegrain D=254mm, f=1.6m telescope with CCD camera FLI MaxCam CM2-1 with field of view 28.6x28.6 arc minutes and resolution 1024x1024 pixels. 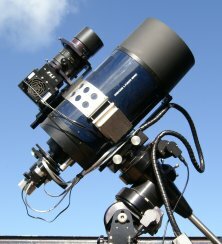 This telescope uses standard Johnson-Bessel BVRI filter set for photometry. The BART is based on Losmandy HGM Titan mount with Gemini GoTo controller which is driven via serial port from the PC. Mount is able of slew speed 6 arc degrees per second with tracking accuracy ~1arcsec. The system is driven by Linux based PC. A controlling software RTS2 written in the C++ language has a simple terminal based interface. Taken images are immediately processed for star identification and then are stored to a database. They can be downloaded by secure copy. 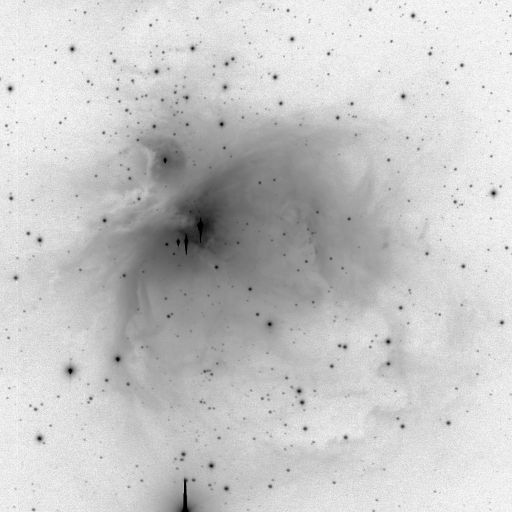 Users can create custom scripts to control the telescope and the camera behaviour during an observing session.